Durga, Mahamaya or Chandi…Call Her by whatever name, She remains, the invincible ‘Shakti’. The Divine Mother- Durga, who is the consort of Lord Shiva; Creates, Sustains and Destroys the Universe. The sole purpose of ‘Maa Shakti’ is the destruction evil. Mahishasura- a ‘demon’ propelled the Gods to leave their celestial kingdom. When the tyranny of Mahishasura reached a point of disaster, Lord Brahma, Vishnu and Mahesh emanated streams of glory. 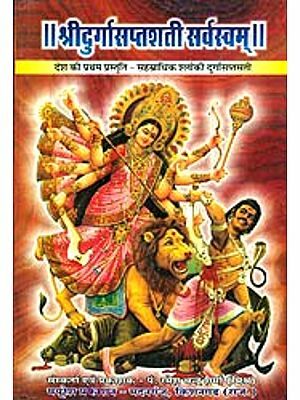 And ‘ Maa Shakti’ was born to vanquish the evil demon. After a fierce combat with Mahishasura, Maa ‘Shakti’ pierced him to death and relieved the Gods from distress. She slaughtered nasty demons like, Madhukaintebh, Raktbeej and Shumbh-Nishumbh. Maa Shakti’s Grace is boundless. Her compassion is immeasurable; Her knowledge infinite; Her power immense; Her glory indefinable; and Her splendour incredible. 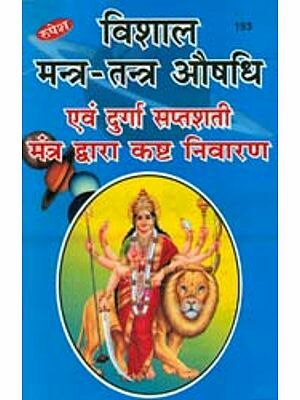 She bestows her devotees with material prosperity and spiritual freedom. 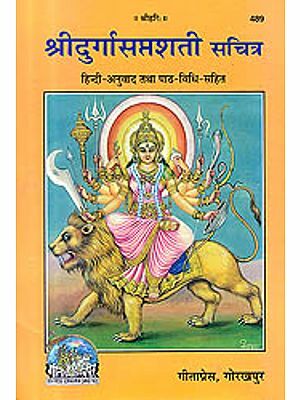 Mahamaya, the mysterious form of ‘Shakti’ enshrines within Her great mystic powers.. “Durga Saptashati” reveals them and explains in depth the gravity of Karma (Action). Bhakti (Devotion) and Gyan (Wisdom). 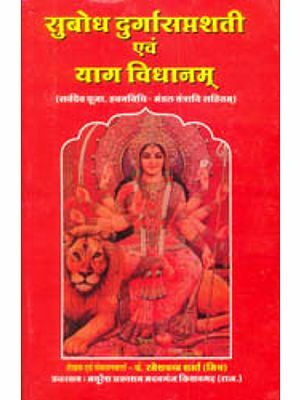 These powerful mantras addressed to the Goddess are taken from the Durga Saptashati of the Markandeya Purana. Its repeated chanting is supposed to create a positive resonance in the atmosphere of the listener and in turn helps the person to feel stronger and relaxed in body, clearer in mind and uplifted in spirit. 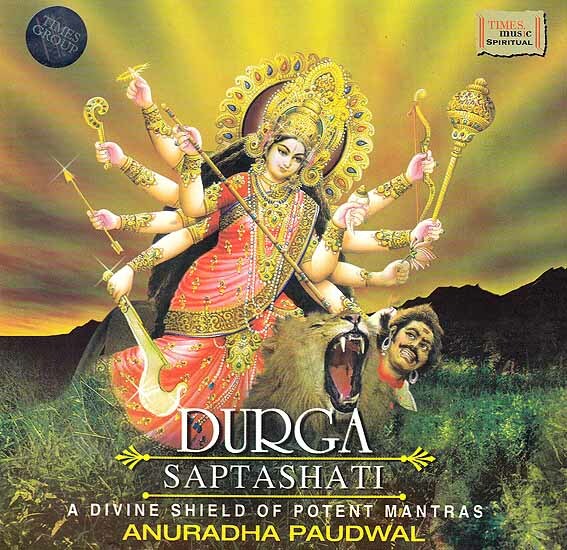 The belief flows from centuries that “Durga Saptashati” is a divine shield that not only protects us from all evils but also, leads us to the path of salvation.